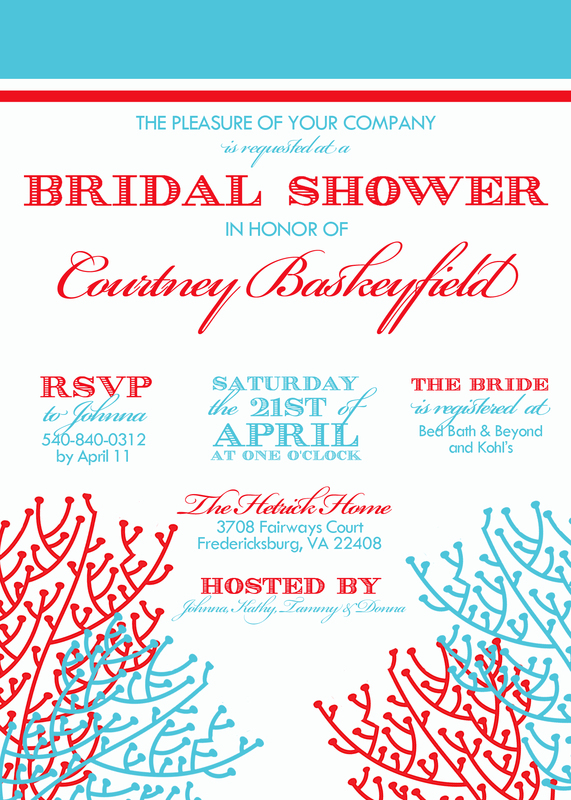 Bridal Shower Invitations — Twila & Co. When my best friend, Courtney, told me she was getting married, it was about 7:30AM on a Monday morning. I was driving to work. I had to stop my car because I was screaming and crying and just SO HAPPY I could barely control myself. But she didn't stop there. She then proceeded to ask to be her Maid of Honor and I think I just cried even more. Courtney and I have been friends for a long time and over long distances. Nothing seems to be able to come between us, and to see her so happy, made me so happy. I couldn't be more excited to be such a significant part of her big day. I finally stopped crying after a few minutes, and then it all sank in. The Bridal Shower, the Bachelorette Party, the Speech, the dresses. While a tad bit overwhelming, I knew was up to the task and I was determined to make everything PERFECT for her for her big day. My dress has been ordered, the speech is.....gathering thoughts, and the bachelorette party is coming together. But right now, my focus is the Bridal Shower! Less than a month and counting. I have been working hard with the mother of the bride, the mother of the groom, and my mom to get everything together to be perfect, and I cannot wait to show you the finished product/party. 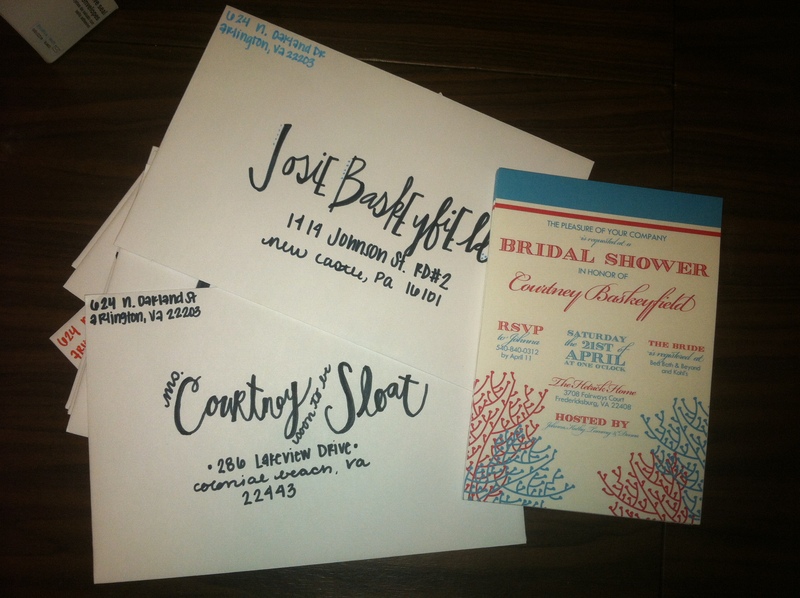 Courtney decided she wanted a Luau theme, and I picked the colors turquoise and red. My mom has a giant 'LOVE' cardboard monstrosity (it's about 6.5 feet tall) of awesomeness. She puts it out at Valentine's Day, but it will work perfectly with our colors and theme. Invitations finally went out last week after a few weeks of designing, printing, and hand cutting the invitations as well as hand writing each envelope. Inspirations came from all over the place (Pinterest, Lilly, blogs, you name it, I researched it). I was so thrilled with the outcome! 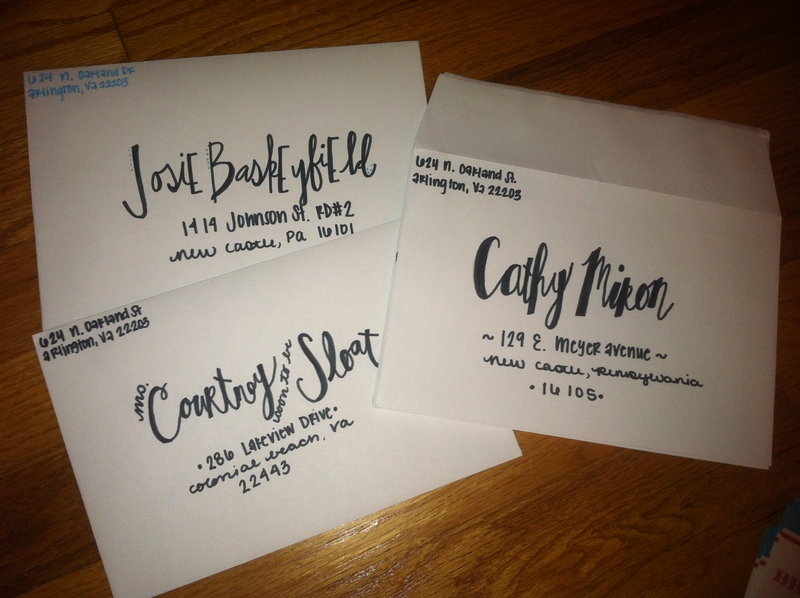 I loved writing the addresses! It was so much fun! Don't worry! I'll be posting photos of the event after it happens. I'm so excited for it. It's not going to be your 'average' Bridal Shower. Interested in Invitations, Save the Dates, Programs, or more? Contact us today! 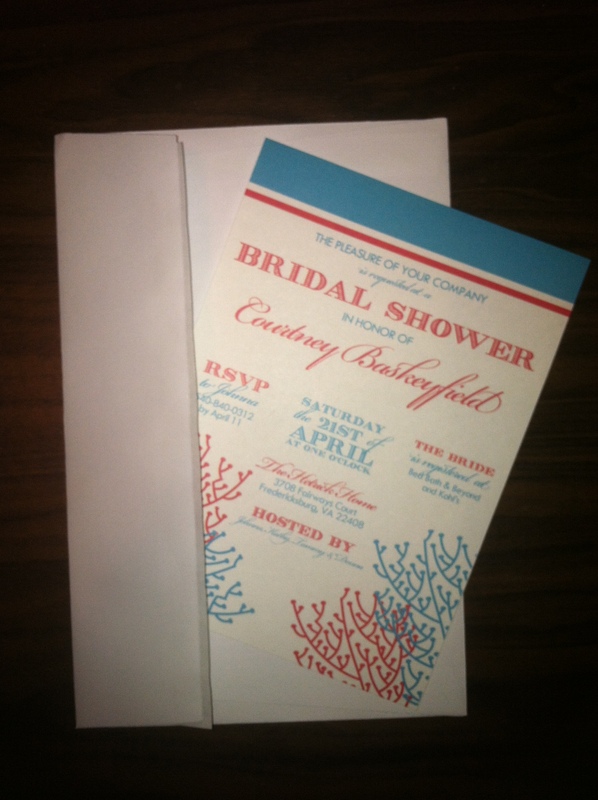 Get custom invitations designed and printed for less than $1 an invite. DesignArtketing@gmail.com.